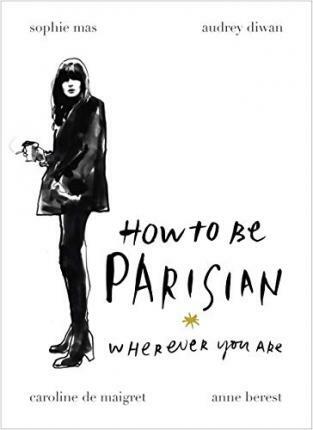 "This saucy guide to French chic has a charming authorité. It’s also curiously persuasive." Anne Berest is the author of two novels and a biography of Francoise Sagan published this year; she also writes for television, filmand theatre. Audrey Diwan became a scriptwriter after studying journalism and political science. She wrote the screenplay for Cedric Jimenez's La French, with Jean Dujardin, and is now directing her first feature film; she is also editor-at-large for Stylist magazine. Caroline de Maigret studied literature at the Sorbonne before moving to New York to model. She returned to Paris in 2006 to found her music label. De Maigret has been an ambassador for Chanel since 2012, and supports women worldwide through the NGO CARE. In 2014, she became a muse for Lancome. Sophie Mas was born and raised in Paris. After graduating from Sciences Po and HEC, she started her own film company and now works as a producer in Los Angeles, New York and Sao Paulo.